PEEPS Parachute STEM Challenge in Early Childhood! Simple STE(A)M (Science, Technology, Engineering, Arts, and Math) challenges involve young kids in exploration, inquiry, observation, making predictions, testing predictions, and formulating solutions to problems. Exposure to STEAM activities in early childhood will nurture the inquisitive nature inherent in young kids to support critical thinking skills. 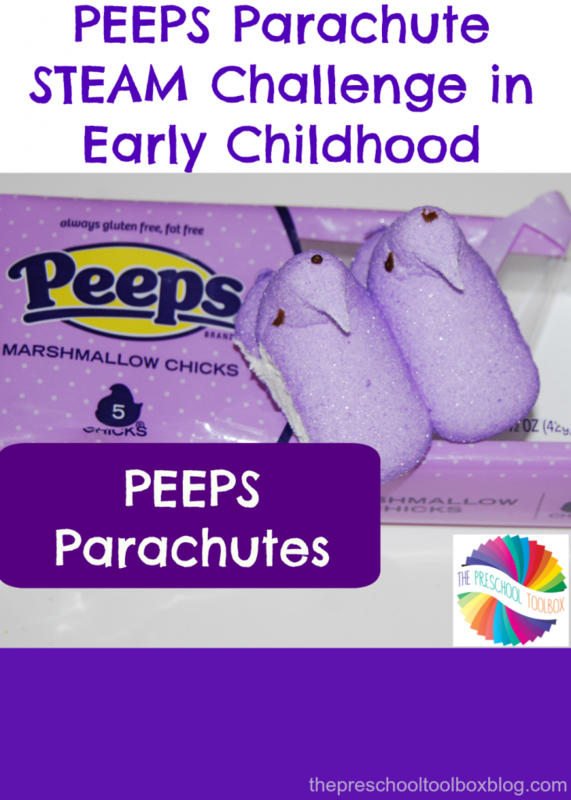 The PEEPS Parachute STE(A)M Challenge is a FUN exploration that can be done throughout the year by changing the kind of PEEPS used in the challenge. PEEPS Parachute STEAM Challenge in Early Childhood! 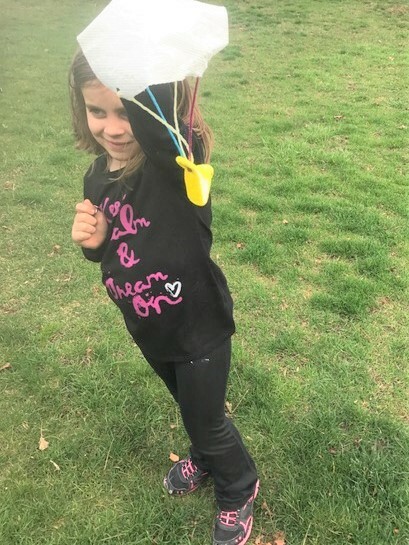 PEEPS Parachute STEAM Design Challenge Objectives: To encourage young children to use creativity and critical thinking skills to design, make predictions, and test the predictions to observe outcomes. 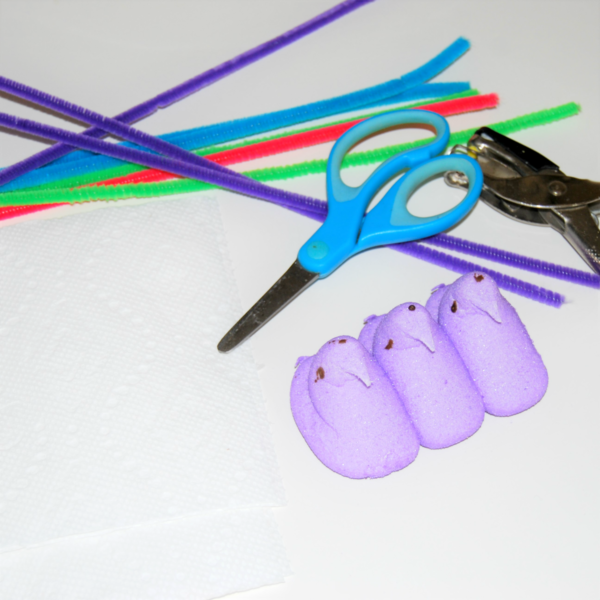 PEEPS Parachute STEM Design Challenge Inquiry: Can your kids design a PEEPS Parachute that will fly using just pipe cleaners, a hole punch, scissors, and a paper towel? Paper Towels (cut into squares for the parachute) Hint: Bounty Select-a-Size (or similar brand) paper towels are more durable for this challenge and are easily cut into squares. Invite the children to create by placing all supplies out on a large tray or table. Our kids tried various designs for their PEEPS parachutes. Some of the kids wrapped pipe cleaners around the corners of the paper towel to create the parachute. Other children chose to hole-punch the corners and thread pipe cleaners through the holes. The created PEEPS parachutes were various colors, shapes, and sizes. The design of the parachutes became important as the children made decisions about how to attach the PEEPS. Explain to the children that GRAVITY is the force that keeps people grounded on the Earth instead of floating out into space. Gravity on the Earth also dictates that when an object goes into the air, it will eventually come back down to the ground. Ask the children to predict what will happen to their constructed PEEPS parachutes after they are tossed in the air (the Earth’s gravity will cause the PEEPS parachutes to fall back to the ground). 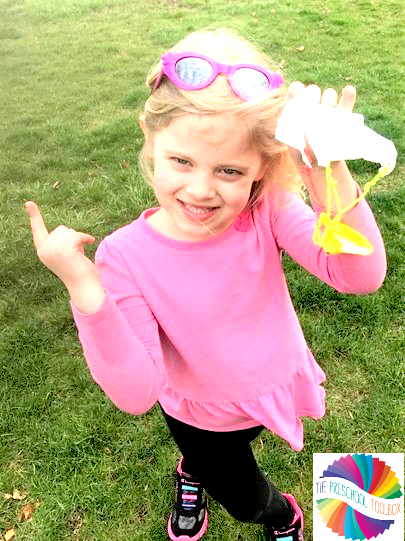 To test the predictions, have the children run and toss the created PEEPS parachutes into the air and see what happens. Were the children correct in their predictions? Without the Earth’s gravity, the PEEPS parachutes would fly off into space instead of falling back to the ground.